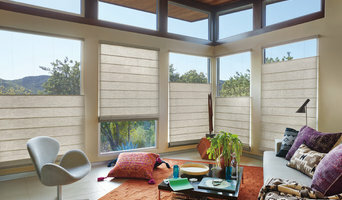 *Hunter Douglas Authorized Dealer* Lynne brings over two and a half decades of interior design experience into every client’s home. Having trained across the United States as a designer, she knows what looks good. But as a working mother and former nurse, she also has an unrivaled ability to mix useful functionality with attractive design. Lynne finds that sometimes clients don’t always know what they like, but most of them know what they don’t like and even that is a great place to start. Accredited stager and designer who helps homeowners simplify and beautify their homes for better enjoyment through furniture and paint color selection. Guiding in proper selection of all materials to achieve an updated and fresh look. Tracy Egan will consult on how to prepare homes for sale, quickly and for the most profit. She also works alongside realtors north of Boston to showcase their listings effectively on MLS in order to attract the most potential buyers. Properly staged, these properties bring in multiple offers, most times over asking. BEST OF HOUZZ SERVICE AWARD 2019 | Fine design enhances the beauty, character and value of any home; humble or grand. I am an award-winning Boston Area designer with a professional fine arts background, specializing in paint color schemes. Additionally, I offer remodeling/layout design consulting and project management services to homeowners and builders. I create new floor layouts, select finishes and provide many other services normally offered by interior designers to my clients. My education in art and long painting practice has helped me develop a keen esthetic sense and appreciation for color, space and form which is applied to every project, large or small. Through thoughtful design considerations that take into account architectural styles, unique features and flaws, I strive to give constructive and practical guidance to help homeowners, builders and architects reach their projects' full potential. In the area of color design, I choose from a palette of paints by leading paint manufacturers; carefully selecting the hue, tone, and intensity of each color to create pleasing and harmonious color schemes. Clients tell me that I'm a patient, excellent listener and I take pride and pleasure in translating their wishes into tangible results. Through our partnerships, they receive custom designs that reflect personality and style. I love my job, my clients and the fruits of our work! Kelly McGuill Home is an upscale interior design firm whose multi-faceted design approach offers a complete range of services including interior design, project management and material sourcing. The distinct advantage of our team is the ability to bridge the construction and design process through our understanding of both conceptual and practical complexities in all stages of development. We are able to explore all the creative possibilities with our clients and communicate real costs to avoid mishaps. Our projects have been featured in major editorial magazines as well as domestic and International blogs. North Fork Design Co. is a full service Interior Design Company servicing the Boston, MA area as well as the East End of Long Island, NY. The design team is comprised of two young professionals -- having a fresh and energized attitude towards design. We have an array of experience and abilities. Being able to creatively problem solve for any design dilemma and work together with our clients are qualities we are grateful to possess. We strive to design spaces that are beautiful and well-appointed whilst still maintaining their livable qualities. Each space should meld together with meaningful pieces, sentiment, and a strong sense of ones personal style, resonating in a timeless quality. Caitlin Flynn graduated from Endicott College in 2010 with a Bachelor of Science in Interior Design. She has since continued her education by completing a Master of Arts in Interior Design with a focus on Sustainability. Originally from the North Fork of Long Island, NY, she was immersed within a landscape dotted with vineyards, local farms, and shoreline: instilling an appreciation for coastal living. Elyse Parkhurst graduated from Endicott College in 2010 with a Bachelor of Science in Interior Design. Before Co-founding NFDC she worked in several prestigious design firms in the Boston area. Elyse has contributed towards multiple design projects which have been published in both 'Traditional Home' & 'Design New England'. With a passion for fine arts, a focus on color theory, and travels throughout Europe her style has many creative influences. Specializing in high-end residential interior design, we work with clients in the Greater Boston area, all over New England and of course wherever else our clients take us! For us the design process begins with listening to the story you want to tell with your space. It’s about picking up that thread and running with it. It’s about architectural details that bring a room together, and a love of materials that make a room special. It’s about balancing trends by being current but not cold; adding vintage without looking stale. Pinney Designs is a full-service interior design firm, which specializes in new construction and home renovations. We work closely with our clients to help establish initial design concepts, then produce design documents and specify all of the components of the design. Pinney Designs often collaborates with architects, builders and lighting designers for projects. A wide range of highly skilled tradespeople are recommended to help execute each design project flawlessly. SLC Interiors was founded by Susanne Lichten Csongor and offers our clients elite Interior Design services with exquisite taste in the most discerning spaces. Susanne Lichten Csongor, founder of SLC Interiors, Inc. has over twenty years of extensive experience in high end residential design. The firm’s residential practice includes a private family compound in Nantucket featuring a spa, tennis and an equestrian facility, residences at The Setai Hotel overlooking Miami Beach and a Pied a Terre overlooking Boston’s Public Garden. Susanne holds a Master of Science Degree in Interior Design from the University of Massachusetts, Amherst, Massachusetts. During her studies, Susanne was a Teacher Assistant to Dr. Arnold Friedman founder of the program and former director of Pratt Institutes Interior Design Program. Studies abroad include Decorative Art and Architecture in Paris with Parsons School of Art and Design. Susanne has also taught Color Theory and Interior Design through the Adjunct Program at New England School of Art and Design. Meghan’s penchant for design began at a very early age. Born on the East Coast, but raised in Texas, the mixture of casual southern charm with East Coast classicism continues to influence her design philosophy. After studying art and design at Providence College and FIT, Meghan worked in London, New York, Boston and Dallas where she gained valuable experience in space planning, color theory, furniture design, lighting, and visual merchandising for industry giants like Burberry, Conde Nast, and Crate & Barrel. In 2006, Meghan set out on her own and started Meghan's Inspired Interiors in Dallas, TX with the goal of making interior design more accessible. After a move back to the East Coast Meghan relaunched Meghan Shadrick Interiors in 2010. Often seen as intimidating and available only to the very elite, Meghan believes good design should be attainable to varying budgets. She believes in honoring and incorporating cherished furnishings already existing in a home. The combination of bringing together old and new, traditional and modern, high end and low end is what gives a room its soul and individuality. "Clients often have a good start to a room with some key pieces, but it's the layering in of artwork, accessories, and finer details of a room that many struggle with, and that is where I come in to the rescue". The result is a space that is fresh, unique, and a true reflection of the client. This is very rewarding for both the homeowner and Meghan. Its a partnership with the client, and a successful design is one that the client truly feels at home in. Meghan currently lives with her children, Liam and Cora, and her husband, Dave, in Arlington. A good home design professional will hone your style down to its very essence and be able to choose a functional layout that feels natural to you. Interior design companies can be involved as much or as little as the client desires. Many clients who hire an interior decorator in Reading, MA — particularly those who are remodeling — have a good sense of how the room should look and what products they should use. Often clients will insist that interior decorators use the products already present in the house. Other times a designer will need to start from scratch — especially if this is a newly purchased or just-built home. An interior design company will need to figure out exactly what the client needs, which includes organizing rooms, picking flooring and wall colors, and finding furniture to complement it all. 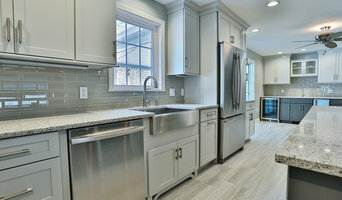 Sometimes that means he or she will have to recruit help from other Reading, MA home professionals to help create the perfect look for your renovation. Here are some related professionals and vendors to complement the work of interior designers & decorators: Architects & Building Designers, General Contractors, Home Builders, Design-Build Firms, Photographers. Do your research before meeting with an interior designer or home decorator in Reading, MA. Ask yourself what you want your space to become and what it will be used for. Figure out the extent of what you need help with, what your must-haves are and what your budget is. Interior design services can add up fast, so be up front with a potential design firm or individual from the beginning. Also, pick an interior decorator that fits your style. Browse through the portfolios of different Reading interior design firms and decide if you would live in those houses. Just because you like something doesn’t mean you could live in it. There's a big difference! 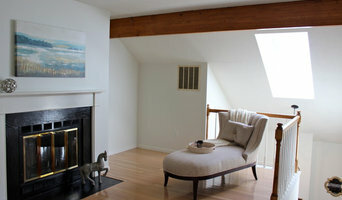 Find an interior designer or home decorator in Reading, MA on Houzz. Narrow your search in the Professionals section to find Reading interior designers near you. You can also look through Reading, MA photos to find a room you like, then contact the design firm who designed it.